These golfers walked away with big prizes from charity tournaments that we insured in 2018 - check out our HIO Prize Packages to give your golfers the chance to win big at your event! John donated his full $5,000 prize to the META Foundation! Now is the time to start planning for your 2019 event. The earlier the better no matter what time of year your tournament might be, however spring tournaments need to get the ball rolling ASAP! 10. Send out a press release about your organization and how the funds are used. We offer Logo'd gifts for your golfers, SuperTicket Fundraising ($3k avg. profit), Sponsor Plaques, Banners, HIO Insurance, Shootout Insurance, Putting Insurance, Awards, or anything else tournament related you might be shopping for. We are a COMPLETE resource for you and provide our 17+ years of tournament experience and knowledge to our customers. We look forward to assisting you however we can in 2019! (to the sponsors) way to help your event raise more money. The golf cart is the single most repetitive point of exposure for golfers during a tournament. The players are in and out of the cart a 100 times and this translates into advertising impressions. Having one player exposed to a sponsoring company's logo on a cart 100 times is more valuable than having that same player see a hole sign 1 time. The golf cart is a valuable piece of property! This has to be conveyed to the potential sponsoring company so that they see the extreme value. 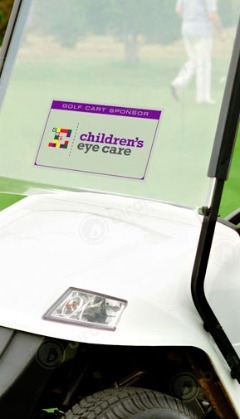 One of the best ways to give your sponsor the best bang for their buck, is to have a static cling sign made that sticks on the cart. Either on the acrylic windshield or on the front bumper. These can be made for as little as $7.25 each and are printed in full color so the sponsor will be happy with how their logo or name appears. There is no glue or tape associated with these clings so the golf course personnel can apply and take off with ease, and no mess. 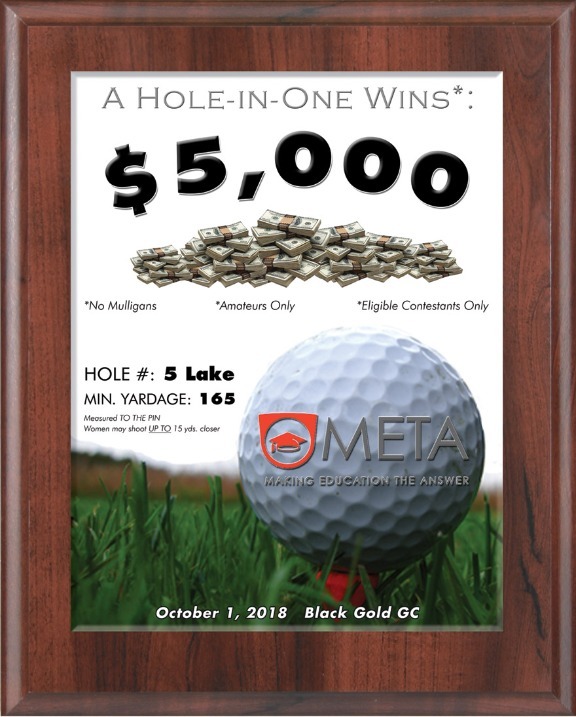 ​Sell the sponsorship for $1,500.00 and if you have 100 players in your event, you will need 50 clings at $7.25 each. You will NET $1,137.50 just from the golf cart sponsorship. Repeat the same for the two beverage carts that will be on the course. Sell each of these for $300.00 and you will NET $592.00! Sell both of these sponsorships to add an additional $1,730.00 to your bottom line. Not bad at all! Combine with our hand made Sponsor Plaques to really impress your golfers and sponsors! Make Sure Your Awards are Up to Par! ​We have seen it time and time again... a tournament will only present awards to the 1st place team or 1st and 2nd but the quality of the awards just isn't great - or they decide to just do gift cards. Don't do this at your tournament! 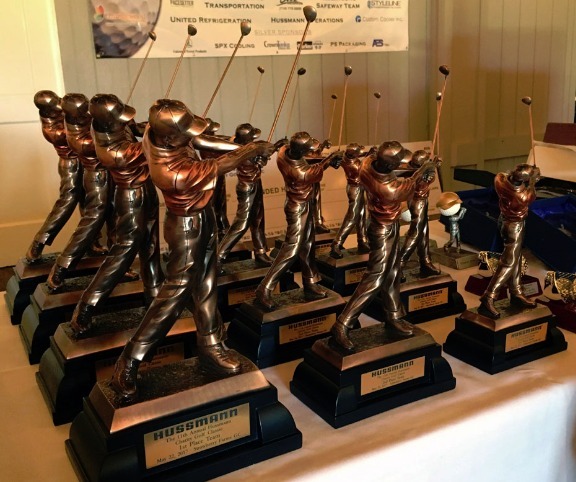 Many golfers relish being presented with an award and proudly display it at their office or home - which fondly remembers them of your tournament and come next year they are more likely to attend again. Physical awards also serve as conversation pieces which will promote your event - IE: "Hey John that's a nice ___________ (longest drive, closest to the pin, 1st place, etc.) award you have on your desk - what tournament did you win that at?" John proceeds to tell his college how fun the tournament was and why he should play in his foursome next year. Another golfer added to your tournament without any marketing efforts on your part! Make sure to have plenty of great raffle prizes too! Include raffle tickets in your SuperTicket Fundraising Package offering to increase your gross donation amount from the tournament - golfers appreciate the one-donation approach that our SuperTicket offers, rather than buying raffle tickets before, during, and after the round. Take care of business, aka asking for donations, in the morning and leave them alone to enjoy their round and the beautiful course! And back to the awards - remember the better the prize, the better the memory. Give them really nice awards and they will come back, and bring their friends! Your results may vary but this is a great guideline to shoot for. Give us a call or email to assist you with your next event! 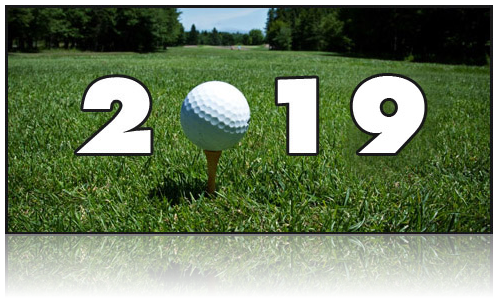 The Right Time to Get Started on Your 2018 Golf Tournament? NOW! As we start the new year it is now time to start planning your 2018 Golf Tournament. Even if there is snow on the ground, it is not too early to start planning. Put together your committee and assign responsibilities. Define your purpose, objectives and goals. Find a location and pick the date. Decide on the format and the games and contests. Create sponsor packages, identify potential sponsors and start selling. Develop a promotion and marketing plan - this should include showing potential sponsors what their signage will look like at your event (the reason why they are paying). We highly recommend our handmade Wood Sponsor Plaques which start at just $25 and are handmade/customized for your event. 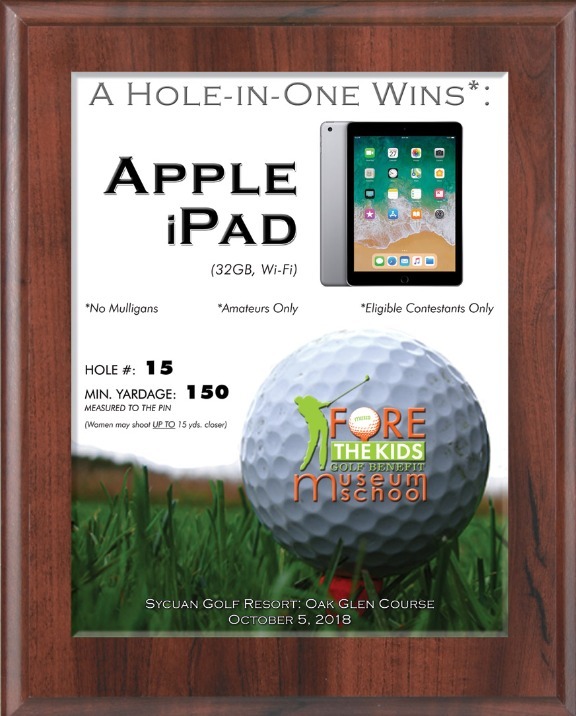 These wood plaques serve as on-course signage (wire stand for tee box provided) AND as a custom gift for your sponsor to take home with them. A Great Value! Build a golfers’ package and start recruiting golfers. 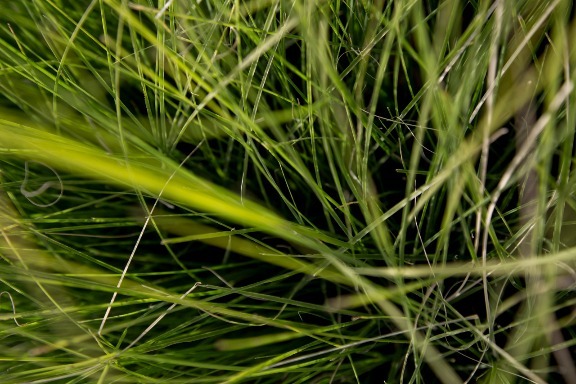 Acquire gifts and prizes and let golfers know what they are. Be sure they are unique and not just other hat and golf towel - See our Golfer Gift items to find something special that your golfers will love and keep them coming back in 2019. Develop a great auction (silent and/or live), acquire items and start promoting early. Auctions are gravy money for your event. Check of these 10 items and you'll be well on your way to a very successful event in 2018! Feel free to call or email if there is anything we can do for you at this time. As you start planning for your 2018 charity golf tournament, it might feel like trying to find your ball in the worst of the worst rough - well we're here to be your "tournament caddy" and tell you all you need to know to start putting your committee together - the committee is the key to your success and will make your visions of a great tournament a reality. The bigger the committee, the better - your event but it is important to recruit the right type of people. Committee members that are well connected in the community, well trained on how to do their job as a volunteer and properly motivated will take your event to levels that you never expected. Recruit between 6 to 12 Committee Members. Make sure that you set goals for them and hold them accountable. Find committee members that know many people in the community. MOTIVATE THEM: Your volunteers will more productive and successful if you motivate them. Thank them with a gift. Recognize them with certificate and plaques. Give them incentives for their progress. Try these things and you will have a successful event because of your committee members. The sponsor letter is a key part of your sponsor packages and selling sponsors. They can make or break the sale. They need to be clear, concise and to the point. You need to give the potential sponsor a reason to read the letter and view the enclosed sponsor packages. Your letter should include a couple of key ingredients. Introduction, a little about your organization and what the money is used for and how they will benefit from the exposure and involvement. The most important part of any sponsor letter that is sent out is followed up. If you do not plan on following up with a phone call and meeting, do not bother sending out the letter and packages. We would like to present an exciting golf event that will give you an opportunity to entertain clients and gain exposure to potential clients. This tournament will include golfers from around the community and will raise money for a worthwhile cause. 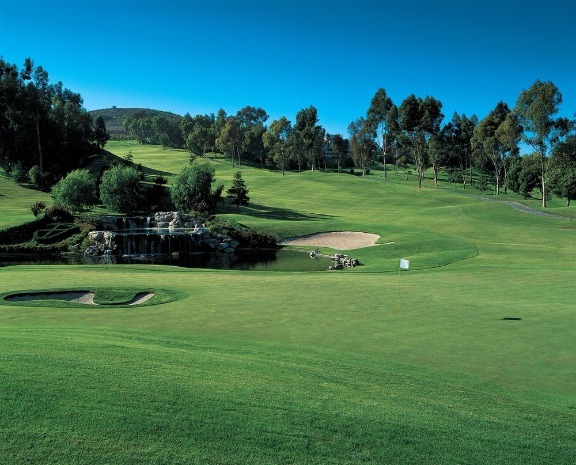 The 1st Annual (tournament title) will start with a shotgun start at 8:00 a.m. on March 15, 2015, at Tijeras Creek Golf Course in Rancho Santa Margarita, CA. 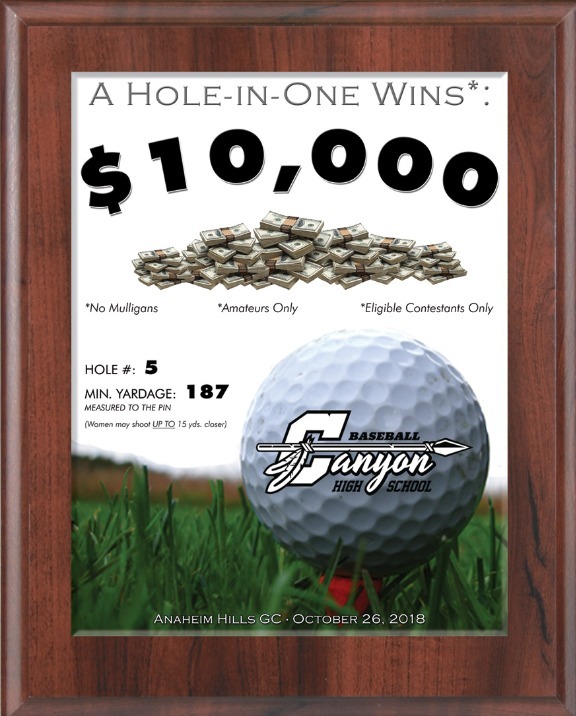 This is a unique golf tournament that will be a full day of exciting events including a Longest Drive, Closest to the Pin, and Hole in One Contest as well as a Raffle, Auction, and many great prizes. Your contribution of $____ is tax deductible and will provide you with all of the benefits mentioned above. We sincerely appreciate your consideration - if you have any questions, please feel free to call us. You're Golf Tournament Will Be Judged! Being just a reality of the Golf Tournament world; your event and organization will be judged by the Gifts, HIO Prizes, and Awards that you give out and your future participation will depend on positive impressions in these areas. If you give out leftover and donated coozies and t-shirts, then "cheap" is how your organization will be seen. Your reputation depends on it. Golfers will come back if they get cool stuff. The Goodie Bag or Players Tee package is the first thing that the golfers get when they arrive at your event and it sets the stage for the rest of the day. The goal is to present the WOW Factor. You want your golfers to see the Goodie Bag and say “WOW” this is going to be a great event. You do that by giving out cool stuff. Give them VALUE, more than their moneys' worth. Don’t panic, this should not cost you anything. You can get all of the things that you want to give away paid for by somebody else. Here is how it works. 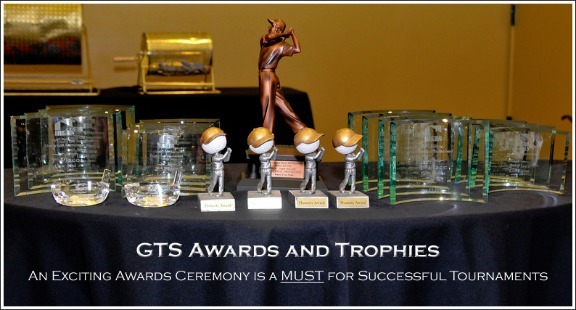 1Acquire the best products for your sponsor $$ by working with GTS. See HERE ​for some great ideas on our website. Build the price of the item into a sponsor package. Sell the sponsor buy putting their logo on the item. Quality Golf Shirts $25 each. 100 golfers x $25 = $2500. Charge you Title Sponsor $7500 which covers the cost of the shirts and nets your $5,000. Your reputation (and next year's event) depends on it so give your golfers a great goodie bag and watch them return year after year. Email us at info@gts59.com with any questions! ​BIGGER IS BETTER and SPONSOR PLAQUES ARE BETTER! There is a lot of competition in the Charity Golf Tournament World - as a tournament organizer, you should be looking to present your tournament as bigger and better than the others in order to enhance players and sponsors. Lets make our events look bigger and better - how you ask? A great first step is with signs and banners that welcome the golfers and recognize your sponsors. This gives the event a professional feel. Almost all charity events have the same type of signs - plastic yard signs mounted on a wire that belong more in a political race than a golf tournament. Instead, we highly recommend upgrading your hole sponsor signage with our Hole Sponsor Plaques - these high quality wood plaques serve as on course signage AND as a gift for the sponsor to take home and proudly display at their home or place of business. This makes them feel good year-round about their sponsorship and the whole time your tournament is getting recognized and advertised. Professional Golf Tournaments use big signs, banners, and billboards. "Professionalize" your event with high-quality signs. Make signs bigger and more colorful. 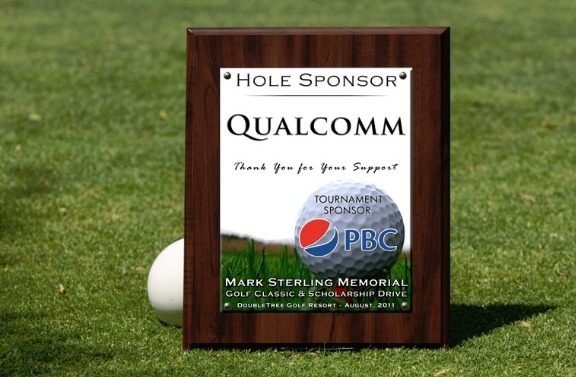 Use Sponsor Plaques to upgrade your hole sponsor signage vs. the standard and boring "plastic" signs. Your golfers will be impressed, your sponsors will love you, and other companies will want to be involved next year.